Welcome to the Holiday Inn Express Hotel & Suites Marina, CAWe are located on the Monterey Peninsula, just minutes from Downtown Monterey, Cannery Row and Monterey's Fisherman's Wharf. 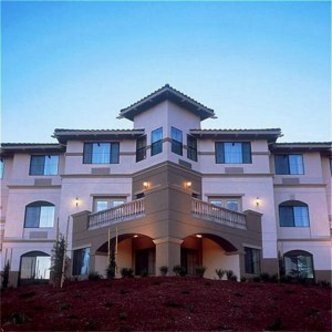 Santa Cruz, Seaside & Sand City are also nearby.Close to the natural beauty of the dunes and Marina State Beach Park, this hotel offers the guest great value and proximity to the areas world-class golf, dining, and attractions. We are a short drive to the Monterey Bay Aquarium, Carmel-by-the-Sea, 17 Mile Drive, & Pacific Grove.Our beautiful hotel features complimentary Deluxe Express Start Continental Breakfast, free high-speed Internet access in all rooms, and free local phone calls. After a day of sightseeing, return to your comfortable room to relax or enjoy an invigorating work out in our fitness room or dip in our oversized hot tub. We look forward to welcoming you to our hotel very soon This hotel is committed to providing accessible facilities under the American Disabilities Act. If your accessibility needs are not met, please contact the Hotel Manager on Duty. Should you require additional information regarding accessible facilities for guests with disabilities, please call 1-800-Holiday (U.S. and Canada) or contact the hotel directly. For the hearing impaired, TDD service is available at 1-800-238-5544 within the U.S. and Canada.